Former Manchester United manager, the legendary Sir Alex Ferguson pointed out his surprise to see Wayne Rooney equaling Sir Bobby Chartlon‘s goal scoring record for England. 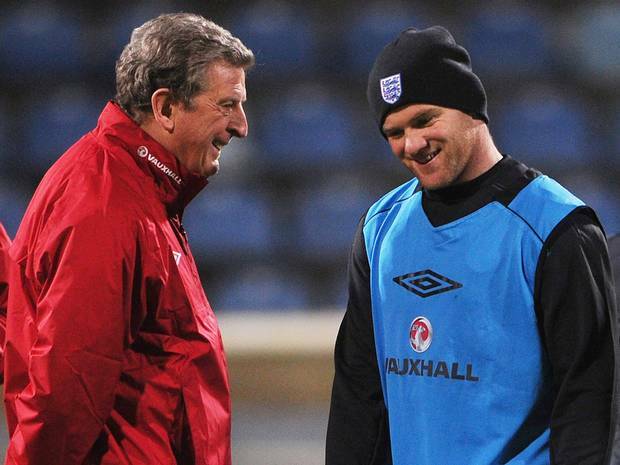 In a Euro 2016 qualifying round against San Marino which ended 0-6 for the Three Lions saw Rooney score his 49th goal in 106 games for England, equaling Sir Bobby Charlton‘s goal tally which he also scored in 49 matches. Rooney was taken off in the 59th minute, having had at least 31 more minutes to try and break the record, but England manager Roy Hodgson defender the decision to take the Englishman off. ‘It would be nice if Wayne could get the 50th goal against Switzerland on Tuesday night, but one thing is for certain – he’ll get it. ‘If it’s not on Tuesday, it might be October, if it’s not October, it might be in November, and if it’s not in November, it might be 2016. But he’ll get it. It’s not as if this was his last and only chance.